Yum! Need some dinner inspiration? Grabbing a rotisserie chicken at the grocery store can make your dinner plans so much easier, and thanks to these recipes, tastier, too! It’s hard to find the time to roast a chicken, so buying one that is already cooked, ready to be shredded and combined into various meals is ideal. 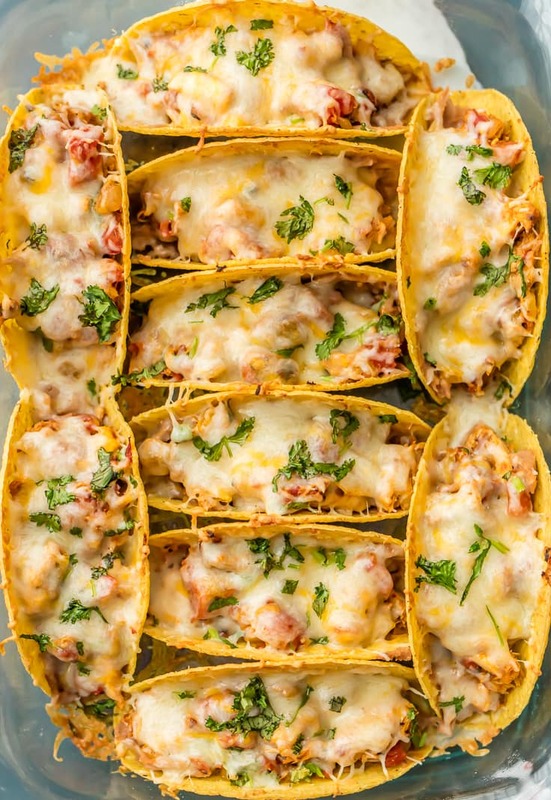 From chicken tacos to apple-cheddar chicken melts, these chicken recipes will help you move through the week with ease, and you won’t have to scrimp on taste! So, pick up a rotisserie chicken on your way home from work tonight, and let’s get cooking, shall we? 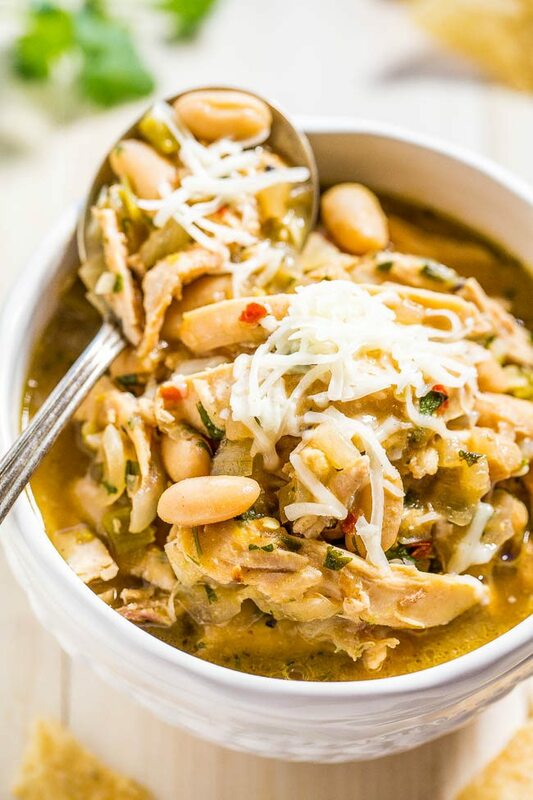 The best part about this white chicken chili soup recipe from Averie Cooks is that it can be ready in just 30 minutes. 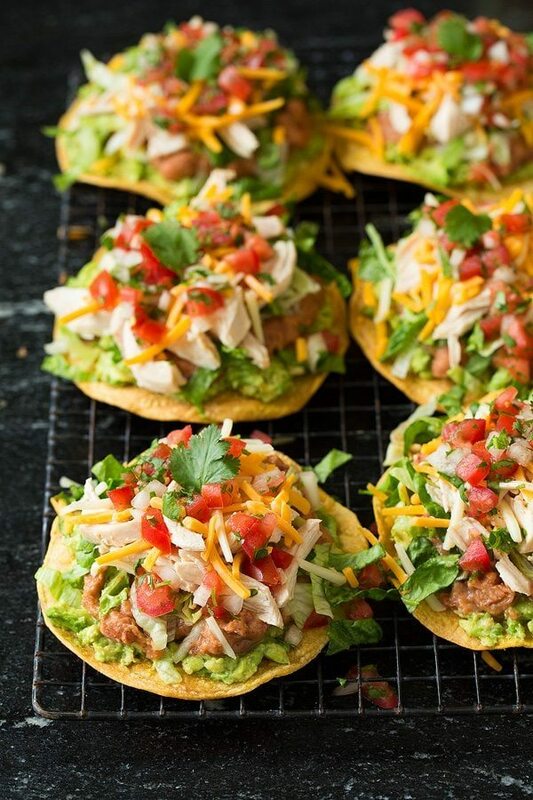 Check out this mouth-watering recipe for chicken, guacamole and bean tostadas! Layer guacamole, beans, and salsa, and then top it all off with shredded rotisserie chicken and cheese. There you have it, dinner made easy! 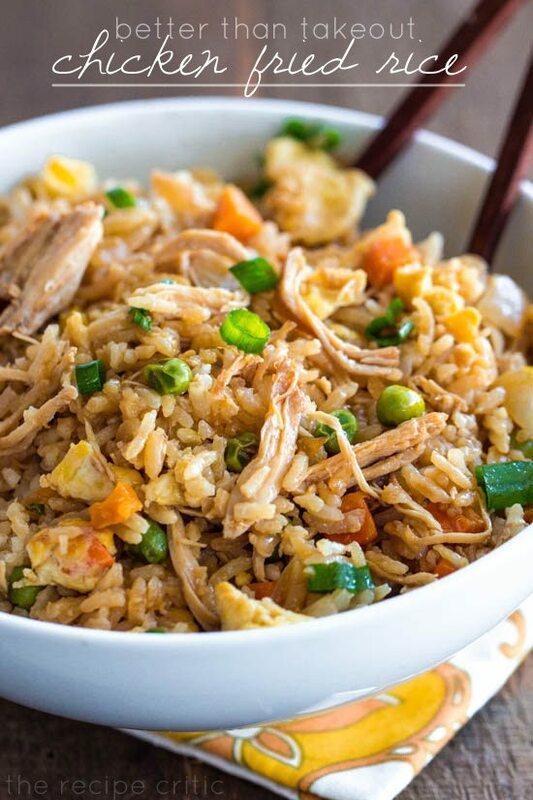 This chicken fried rice recipe claims to be better than the rice you get when ordering takeout. How would you feel about putting that theory to the test? These spicy chicken tacos from The Cookie Rookie can be loaded up and baked right in the oven. This is the easiest way to feed a crowd! This is how adults eat ramen. 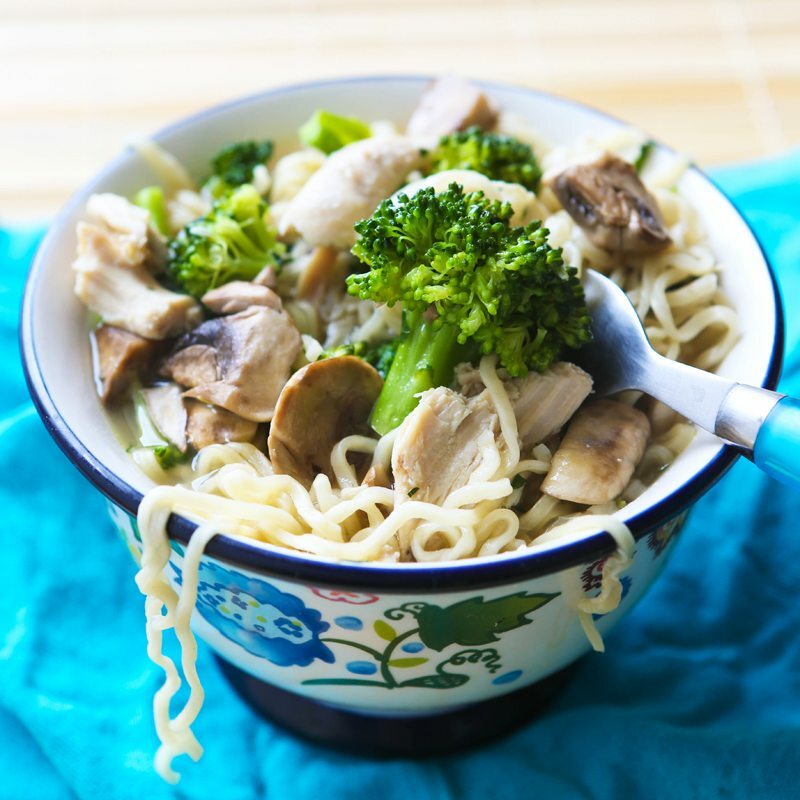 Get the yummy recipe for a chicken veggie ramen bowl at Pip & Ebby. Only one pot to make a delicious dinner? 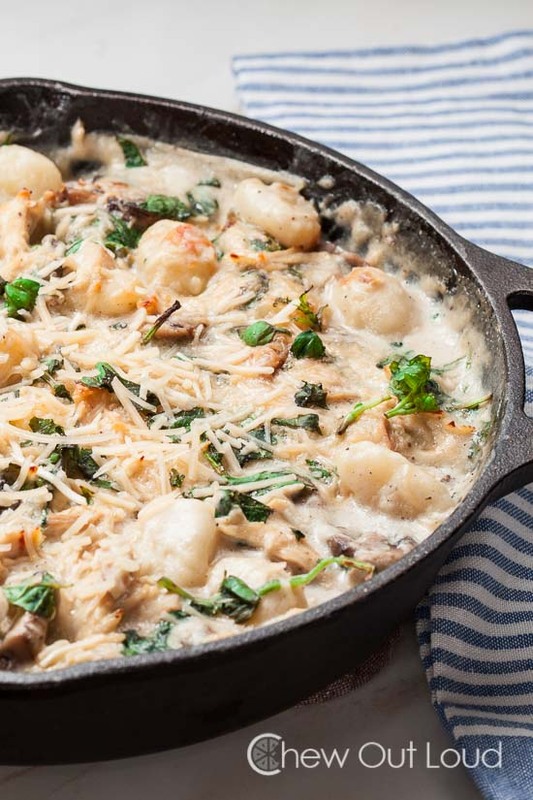 Sign us up for this spinach and chicken gnocchi from Chew Out Loud. 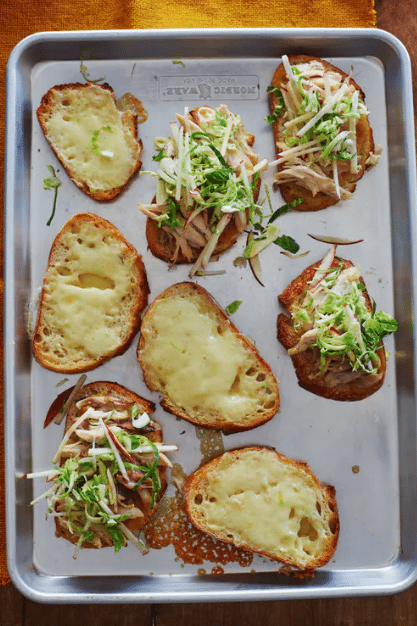 This apple-cheddar chicken melt certainly isn’t your average grilled cheese, but it is the perfect meal to eat on the couch with Netflix queued up. Check out the recipe on The Kitchn and get binge watching. Need some comfort food? 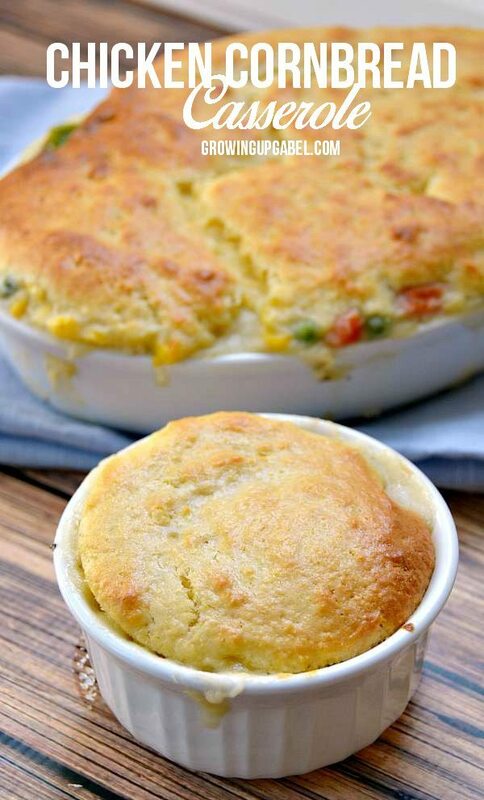 This chicken and veggie-based casserole with cornbread from Growing Up Gabel topped should do just the trick. Once the ingredients in this chicken parmesan baked ziti are all mixed together, this will go into the oven. After just 20 to 25 minutes, it’s ready. 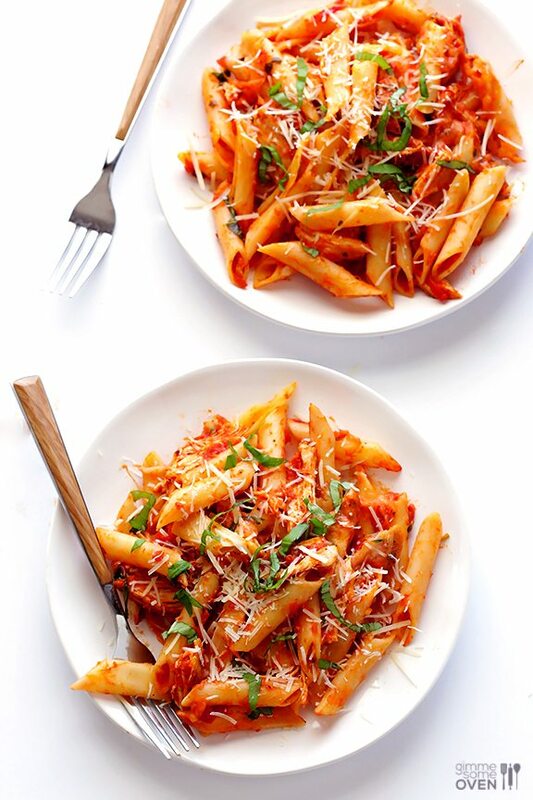 Voila, the perfect easy pasta dish from Gimme Some Oven! 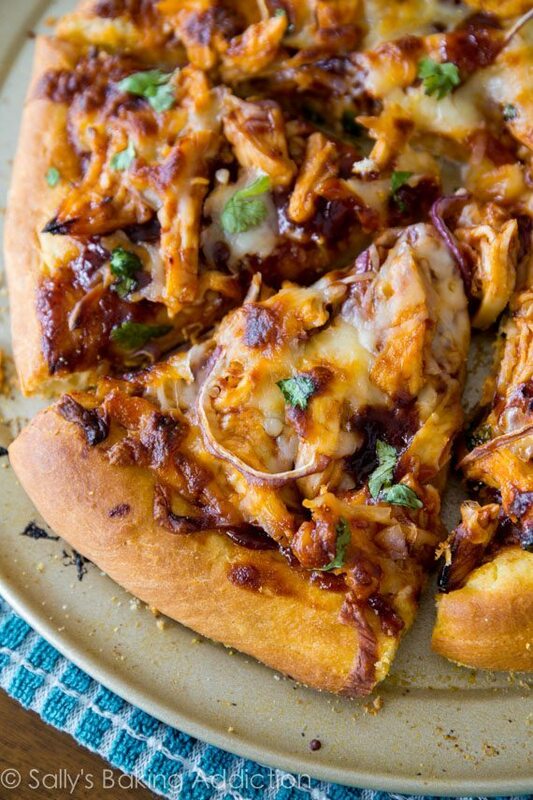 If you’ve got BBQ sauce, chicken and cheese on hand, then you’ve got the ingredients for one heck of a pizza. See the full recipe on the Sally’s Baking Addiction blog. 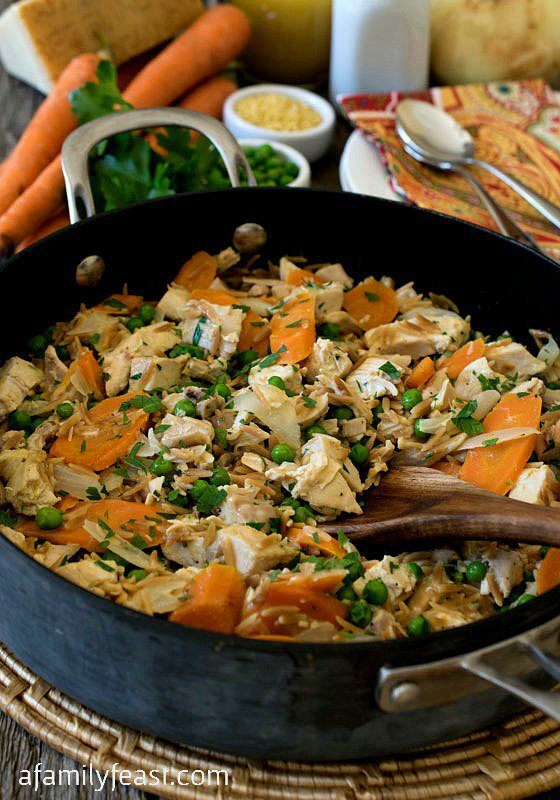 Fresh veggies, orzo pasta and a rotisserie chicken combine to make a chicken bake that will surely soothe the soul. This recipe from A Family Feast is at-home cooking at its finest. 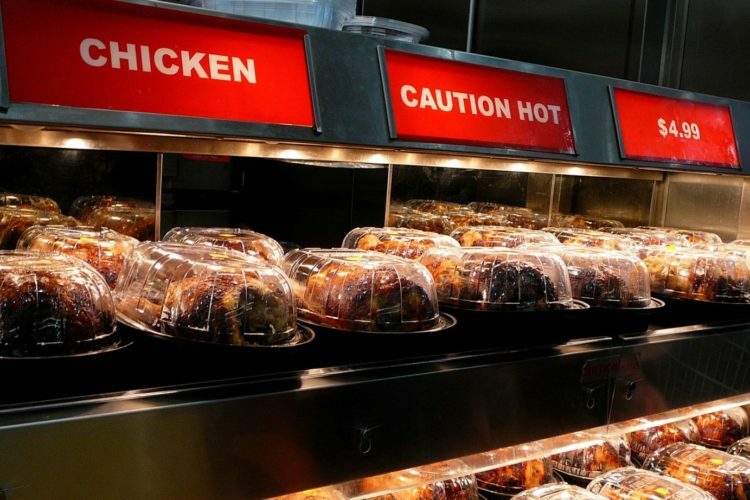 Do you have a preferred recipe using rotisserie chicken? Let us know in the comments!